Explore the quarantined island of Narapela and get to the bottom of the sinister zombie virus plaguing humanity this fall as publisher Deep Silver revealed Escape Dead Island - the brand new survival mystery game taking place in the Dead Island universe. 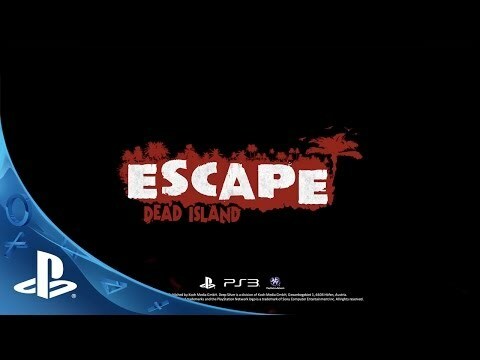 In this single-player experience, fans will take on the role of ambitious Cliff Calo, son of a wealthy media empire mogul with a chip on his shoulder and something to prove, as he traverses across the globe to Banoi after hearing about the gruesome events that took place in the original global best-seller, Dead Island. Can Cliff uncover the clandestine origins of the virus and get out before it’s too late? With an exceptionally striking comic-vignette art style, Escape Dead Island emphasizes a story driven plot which pits players against their own psyche as they try to escape the island and the cryptic, looping horrors that lurk there. Penned by Emmy® award-winning author Anne Toole, Escape Dead Island catapults Dead Island fans onto a lush tropical island infested with brutal zombies where only cunning stealth can help players retain their sanity. Escape Dead Island tells its narrative through unique story loops, where the main character is constantly cycling through different story archs in an effort to uncover the mysteries of the island while battling to maintain his own sanity.